SellMyTimeshareNow.com has a number of Sheraton Vistana Amelia Villas timeshare resales and rentals available for purchase right now. 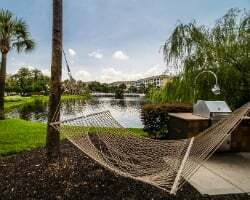 At up to 70% off, you can bask in the incredible Florida sunshine, stay close to major Disney theme parks, and vacation in the heart of Orlando. 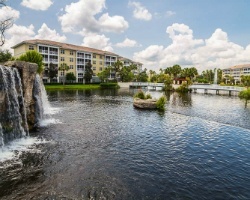 Located right on the edge of International Drive at equal distance in between Walt Disney World to the west and Universal Orlando to the east, Sheraton Vistana Villages rests right on the pulse of the theme park action. Sheraton Amelia Villas is one of four resort villas affiliated with the Vistana Villages brand, the others being Bella Florida Villas, Key West Villas, and St. Augustine Villas. Sheraton Amelia Villas provides a wonderful atmosphere for families to enjoy a nice, bonding Orlando vacation. 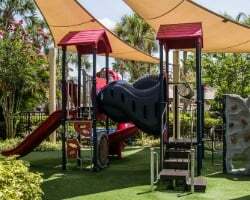 With several playgrounds and pools on the premises, you and the kids can have fun while waiting for the theme parks to open. The Flagler Station Bar and Grill is located within walking distance from the Sheraton Vistana Villages Amelia Villas as well, in case you get hungry or you're looking for a quick couple of drinks after you put the kids to bed. Looking for a more educational adventure for your kids? Take to the air with one of the International HeliTours or dive below the surface at the Discovery Cove to see what lives in the depths of the sea. Then after all is done for the day, return to a magnificent one-, two-, or three-bedroom villa for a relaxing escape from the fun and the fantastic Orlando atmosphere. With a Sheraton Amelia Villas timeshare, you’ll have room to move freely with separate rooms for the bedroom, living area, kitchen, and private balcony. Each kitchen comes fully equipped with state-of-the-art appliances and the living area includes and entertainment center with a flat-panel TV Stereo, DVD player and more! If you think Sheraton Amelia Villas is right for you, contact us today! You can fill out the form on the right or give us a call at 1-877-815-4227 to speak with our Sheraton Vistana Amelia Villas timeshare resale specialists. Avoid fees and hidden charges by purchasing your Sheraton Amelia Villas timeshare on the resale market. When you buy a Sheraton Vistana Villages Amelia Villas timeshare resale, you’ll be buying your property direct from its current owner, at a price that’s fair based on the current trends of the secondary market. Sheraton Vistana Villages Amelia Villas timeshare resales offer flexible ownership options. Choose between a fixed or floating week in the Gold Plus or Platinum season. Owners can choose between annual, biannual, and biennial ownership. Because Sheraton Vacation Ownership is owned and operated by the Starwood Vacation Network, the brand is recognized as one of the leaders of the industry. With a reputation for family-friendly environments, Sheraton caters to travelers young and old all over the world! Purchasing a Sheraton Amelia Villas timeshare allows you access to the Starwood Vacation Network. Starwood Resorts have built a reputation for having luxurious, cost-effective timeshares in their expansive catalog, all offering top notch accommodations and amenities at every resort. Become familiar with all the benefits of Starwood ownership before you purchase to see all you can get out of your timeshare purchase! The Sheraton and Starwood Vacation Ownership brands are both affiliated with Interval International, the second largest external timeshare exchange company in the industry. Sheraton Amelia Villas owners can purchase an II membership at an additional cost and have access to over 2,900 affiliated resorts to choose from for a special, one-off vacation experience. Best of all, Sheraton Vistana Villages Amelia Villas is an Interval International Premier Resort, meaning that your timeshare will have high trading value and allow you to exchange your week for virtually any resort you choose. Sheraton Vistana Villages Amelia Villas guests have access to all of the same wonderful resort features as the other Vistana Village properties do, with its own unique twist. With barbecue grills surrounding the entire premise, you and your family could spend a relaxing day-in away from the parks and still have a blast! But the Sheraton Vistana Villages aren’t so far apart from each other. 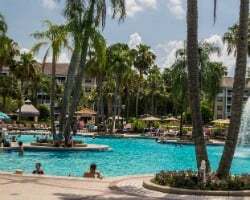 Right next door at St. Augustine Village is the Sheraton Fitness Center, a pool, the playground, and a massive pirate ship for the little ones to enjoy while you’re relaxing by the pool or the outdoor whirlpool spa. The welcome center is also close by where you can check out the vacation gallery, play a few games at the main activity center/game room or get a massage at the Sheraton Vistana Villages Heavenly Spa. 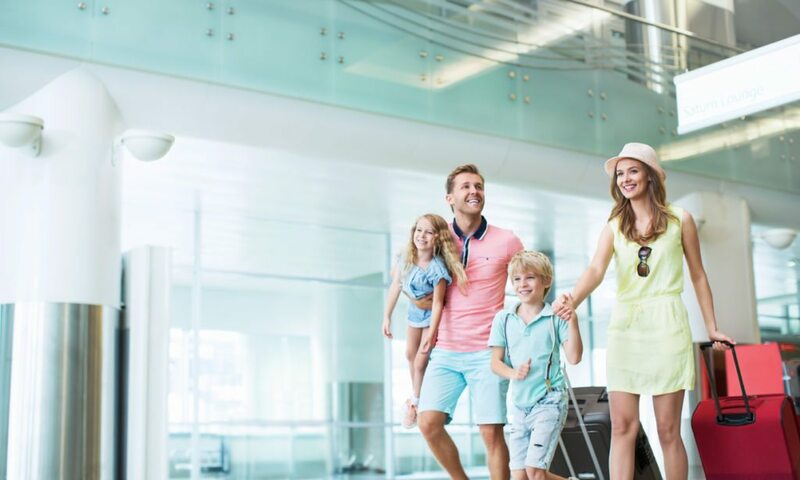 There are also plenty of places to buy souvenirs for your loved ones to show them what a great time you had at The Villages Marketplace or at the Orlando Premium Outlets. Already Own at Sheraton Amelia Villas?